Silverton is a location that many people should see at least once. It’s a city with deep history, and there’s quite a bit to explore. 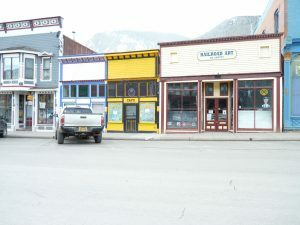 If you’re going to visit, or perhaps stay for a while, you may want to look at a few community elements that abound in Silverton, Colorado. The following are just some of the things that you should know about the city, including some of the organizations that are in place. A nonprofit education center that has been looking into the mountains in Silverton since 2002. This is an organization that connects many people with information about the area’s environment. You’ll find that it’s an independent, non-profit that has been working for research and education regarding the vast national resources in the area. Another great nonprofit organization, this society focuses on keeping the history of the area complete. There’s a focus on restoration, exploration, and historical analysis of past, present, and future. The goal is to preserve all of the elements of the city, and the history that makes this place such an incredible location for people of all backgrounds. It connects the past with the present, and helps keep the history alive and well. Established in 1962, this is a school that teaches people about safety regarding the snow. In the winter, a great deal of snow fall comes through the area, and since founded, several thousand people have come through this school to learn how to react, avoid, and rescue people through avalanche safety. It’s something that is very important, as many tourists come through the area and may find themselves amidst dangerous terrain. This is a site that speaks to history. It goes back to 1875 and has many historical documents, and printings since the gold rush sent so many people west. This is one of the oldest published newspaper in the state of Colorado, and it’s definitely worth looking into if you’re going to visit or stay for a while. Hikers, ski fans, and much more come to Silverton for a good time. They can get lost, and that’s where this search and rescue team comes into play. It’s a nonprofit corporation and is a volunteer group. They help the Sherriff’s department at times, and help people that may get themselves lost or turned around when they are in the snow or hiking to see some of the amazing sites that are around the Silverton area. Even though the area is somewhat small, there is an interesting radio station. There’s an independent nature to this station, and the programming is unique to the area. This is a signal that reaches to the highest points of Colorado, and has been stated to reach 9,318 feet high. It’s the official radio signal of the town, and is one of the more unique elements of the area. There you have it, a few options to consider in regard to the community of Silverton, Colorado.